STAY FOCUSED! Don’t let disappointments become distractions that keep you from living a purpose driven life! 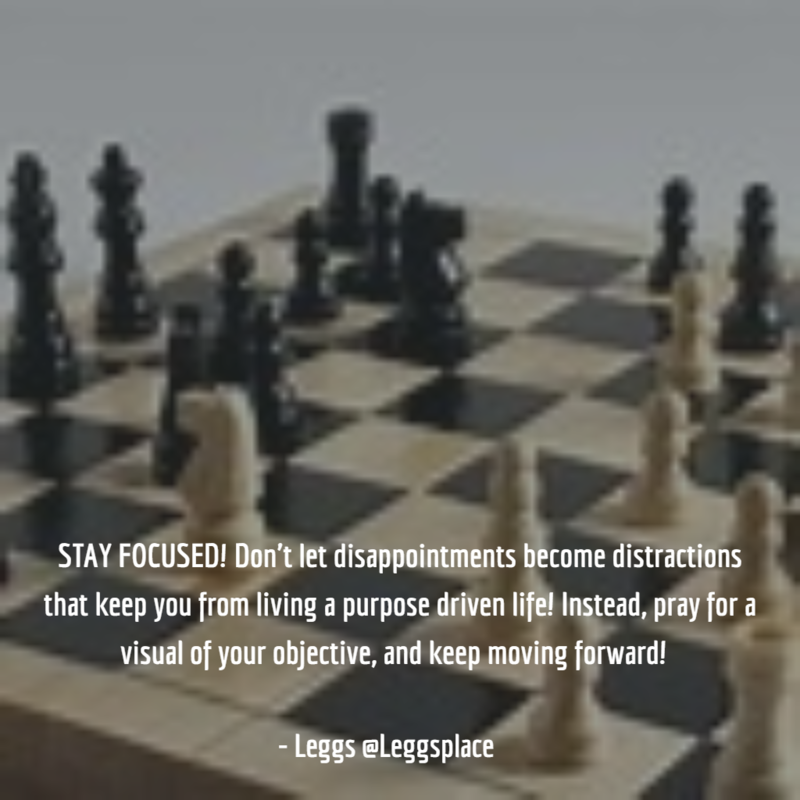 Instead, pray for a visual of your objective, and keep moving forward!